US President Donald Trump confirmed that the man who opened fire at the field in Alexandria -- wounding Representative Steve Scalise, two police officers and at least one congressional aide -- has died of his injuries. Shooting in Virginia: Donald Trump said country's thoughts and prayers are with all those affected. Washington: President Donald Trump called for national unity Wednesday after a gunman shot a senior Republican lawmaker and several others gathered to practice for a charity baseball game. Trump also confirmed that the man who opened fire at the field in Alexandria -- wounding Representative Steve Scalise, two police officers and at least one congressional aide -- has died of his injuries. "We are strongest when we are unified and when we work together for the common good," the president said in an address to the country from the Diplomatic Room of the White House. The shooting came amid high political tension in the United States after a vitriol-filled 2016 election campaign. "We may have our differences, but we do well, in times like these, to remember that everyone who serves in our nation's capital is here because, above all, they love our country," Trump said, calling for the nation to put politics aside. Trump praised the "heroic" acts of law enforcement in subduing the shooter, identified as 66-year-old James Hodgkinson. The US President also voiced over the incident. 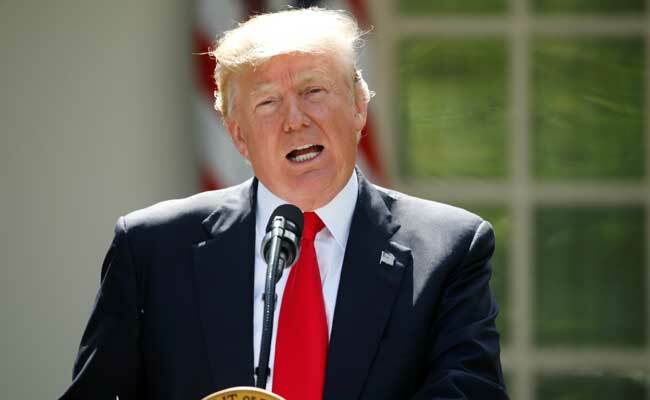 "We are deeply saddened by this tragedy," Trump said in a statement, adding that he was closely monitoring the developments in Alexandria, Virginia just outside the US capital, where police have arrested the unidentified gunman. "Our thoughts and prayers are with the members of Congress, their staffs, Capitol Police, first responders, and all others affected." Senior Republican Congressman Steve Scalise was among several people shot and wounded during the baseball practice, ahead of an annual game between lawmakers.